Not sure what size photos or artwork you want to hang? 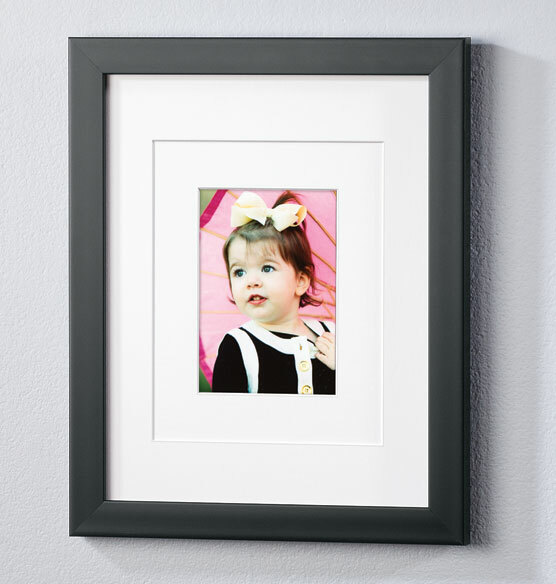 There’s no need to decide in advance with the Perfect Frame™ with triple mat, which makes building a wall collection easy. Includes a personalized brass or nickel plaque to commemorate a special event or for a unique gift. Triple mat frame includes 3 mats to hold 4" x 6" , 5" x 7" , or 8" x 10" photo with a mat or an 11" x 14" photo without a mat. I previously ordered this frame to be sure it was exactly what I wanted for a gallery of my son's photographs. I am very pleased with the quality of the frame and the flexibility it affords me. 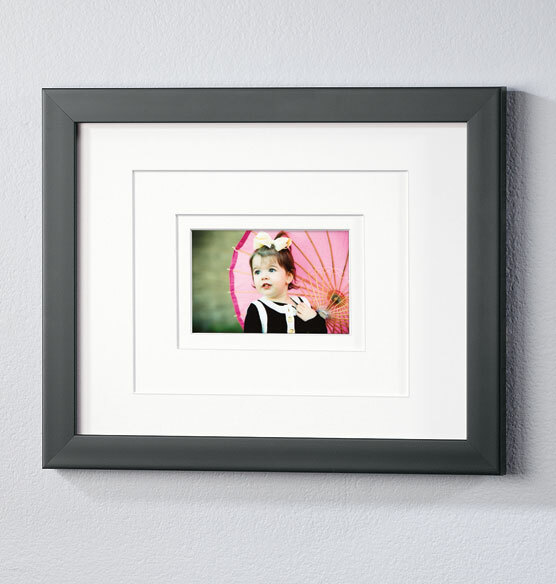 I own several of these frames already and found them to be a perfect solution for a wide range of photos. The triple mat option is a real plus! matches other frames i purchased previously. I like the flexibility of photo size. I loved the idea that you have a choice as to what size photo you'll put into the frame that can include a mat. I have other frames just like this and I wanted more of the same. I have a whole wall of these frames for my family pics. It works beautifully as I never know the size I will be given for updates. With these frames anything works. Used them before; qualities great. I have all of my grandchildren and their parents on a single wall in these frames in whatever size they gave me. Will offer these in the future with black mat? BEST ANSWER: Thank you for your question. At this time we are not expecting any more of the perfect frame back in. We apologize for any inconvenience. Does this frame come in natural color? BEST ANSWER: Thank you for your question. 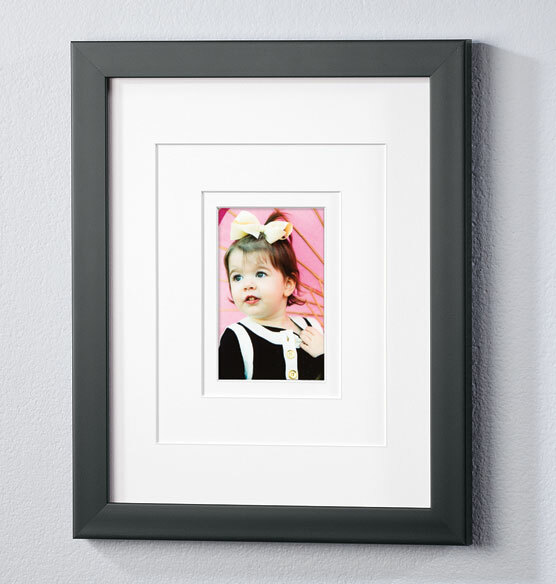 This frame only comes in black with white mats. We hope this information will be of help to you. Need horizontal with plaque at bottom. When is plaque applied. You don't ask for orientation of photo? BEST ANSWER: Thank you for your question. The plaque is not applied until you receive the frame. 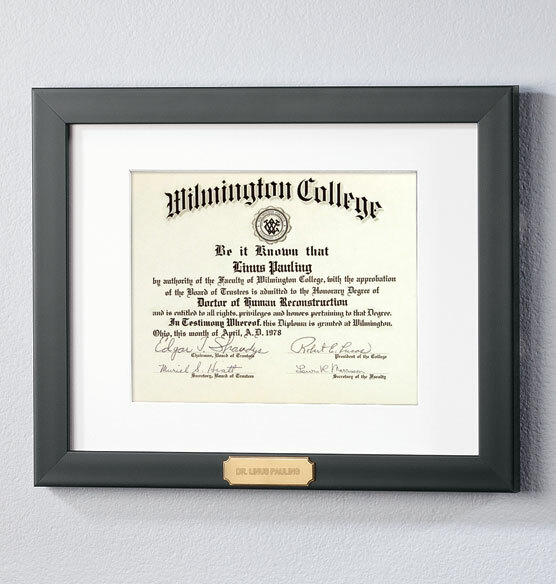 The frame can be used as a horizontal or vertical depending on the side you place the plaque on. We hope this information will be of help to you.